COUNTRY LOG CABIN: EXCITING DAY! Yesterday I was a vendor at Farm Fest which took place at the Yamhill County Historical Museum in my town - just about 2 miles from my home. It was the 52nd consecutive plowing competition and the only plowing competition on the west coast. I had never heard of such a thing until we moved here! I was very impressed and amazed with all the horses and mules that were here. It was a very windy and rainy day, but lots of people came anyway! It is a pretty big deal around here. 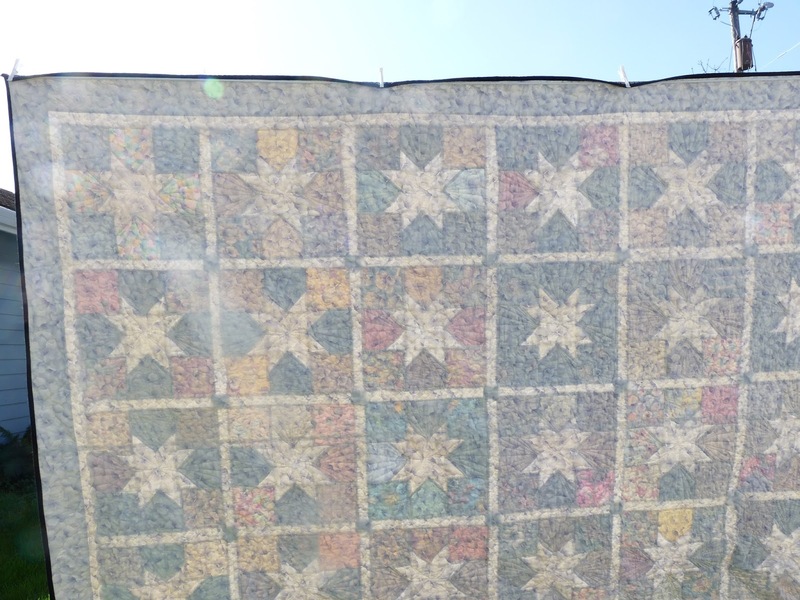 Here is a picture of the Scrappy Star quilt that I made - all quilted and bound. It was a beautiful day when I took this photo!! Here's the back view with the sun shining through from the front. Love your Scrappy Stars! Soon I probably will be making more like yours to go with the one block I made a couple of weeks ago. Thanks for sharing those plowing pictures. I remember my daddy borrowing a neighbor's horse to plow our big garden with a plow just like that! I still have Daddy's plow in my back yard. It is over 80 years old, and is rusty, and of course, the wooden handles have rotted off. 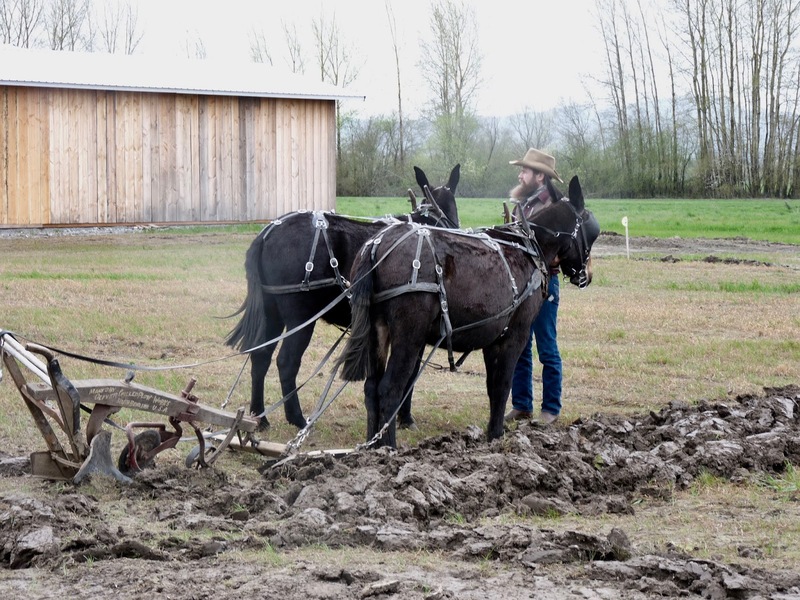 I have fond memories of Daddy putting me up on the horse's back for a ride while he carefully plowed along side a long coarse cord he had staked in the ground all the way across the garden so he could plow straight lines. He always had the prettiest garden in town; everyone was envious! Thanks for sharing those pictures! 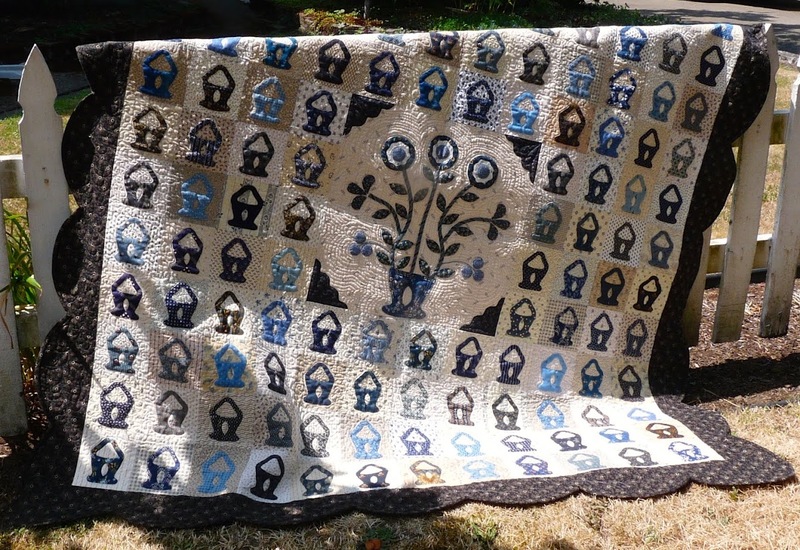 ---"Love"
Beautiful quilt! Michigan State University has plowing shows/competitions every year, but until I worked there, I never knew of such a thing (city kid here!). I've never actually been, but since the field they use is in front of the new (well, new about 10 years ago) vet diagnostic lab, and my job took me there every so often, I got a drive-by parking lot sort of view a few times! It was neat to see all the horses and your videos made me smile to remember it. It's a nice reminder of how easy farming, well plowing, is today! Scrappy stars is beautiful front AND back! The plowing competition looks like fun. I am a farmers daughter so we got to go to some farm shows once in a while. They were always fun. Your quilt is amazing, lots of happy colors! What a great finish! ! ! I remember well those plowing days at the museum, so much fun and photo opportunities, especially when the weather cooperates. 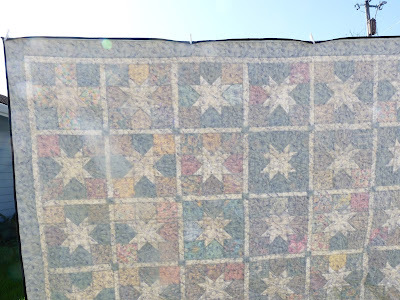 I love your scrappy stars, something for our quilt ministry group to try. I love your scrappy stars. That looks like a quilt to curl up in. The plowing contest looks interesting. I hope your day as a vendor was productive. thanks for the fun video. I've seen plowing in PA and it is always amazing to me. 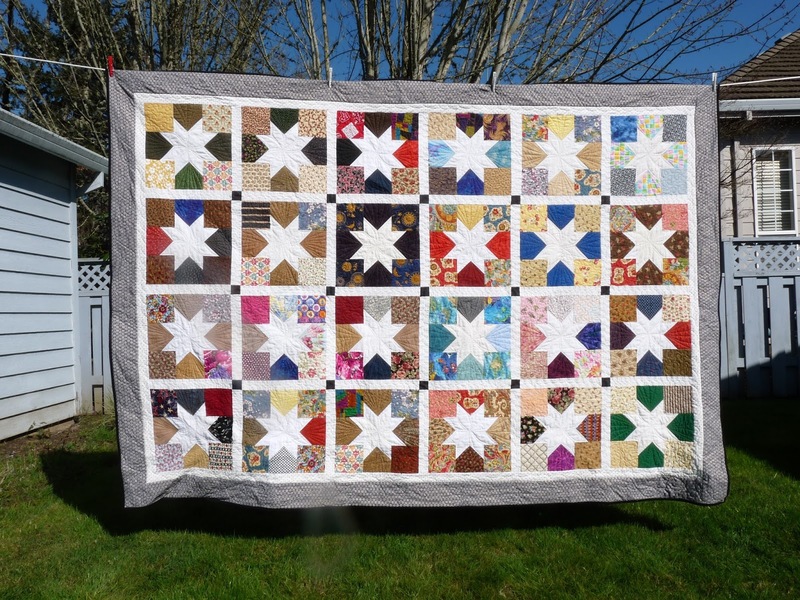 Your star quilt finished nicely! I last went to the Farm Fest a few years ago. It's an enjoyable event. Would love to have been there.